Amid the bustling world of Central Oregon’s wild mushroom hunting camps, the lives of two former soldiers intersect. 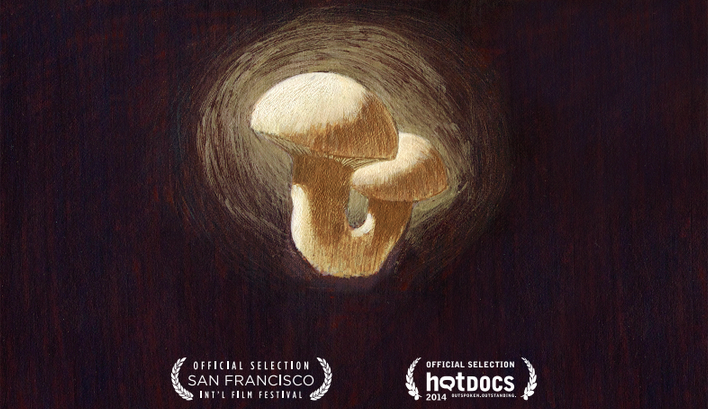 Roger, a 75-year-old sniper with the US Special Forces in Vietnam, and Kouy, a 46-year-old platoon leader of Cambodia’s Khmer Freedom Fighters who battled the brutal Khmer Rouge, come together each fall to hunt the elusive matsutake mushroom, a rare mushroom prized in Japanese culture and cuisine. However, the pair discover more than just mushrooms in the woods: they find a new life and livelihood; and a means to slowly heal the scarring wounds of war. Told over the course of one matsutake mushroom season, THE LAST SEASON is a journey into the woods, into the memory of war and survival, telling a story of family from an unexpected, hidden place. Sara Dosa is a filmmaker and writer based in San Francisco CA. Dosa’s documentary work as a producer has been shown at film festivals worldwide, including Sundance, IDFA, SXSW and Hot Docs, among others, and has been published in the New York Times. Most recently, she was the Field Producer and Associate Producer on the 2013 Sundance award-winning INEQUALITY FOR ALL; and was a Co-producer on the internationally acclaimed Brazilian documentary, ELENA (IDFA, 2012). THE LAST SEASON is her directorial debut. In addition to her feature doc work, Dosa works as a freelance commercial, branded content and educational video producer; and, she coordinated the Grants and Residencies program at the San Francisco Film Society from 2009-2011. Dosa graduated from Wesleyan University in 2005 and holds a joint masters in Anthropology and International Development Economics from the London School of Economics.